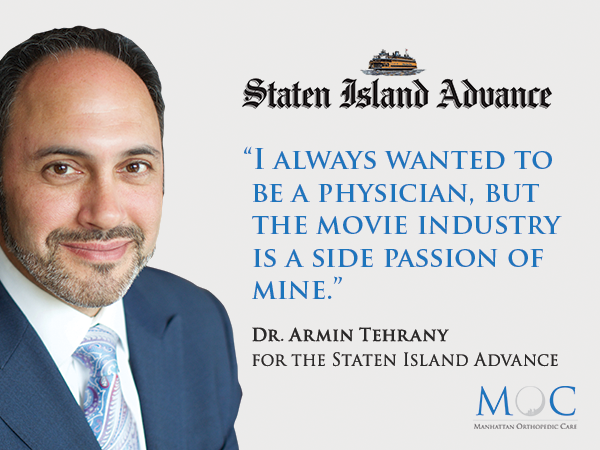 Recently, orthopedic doctor, Dr. Armin Tehrany raised the interest of the media not only for his successful orthopedic career but for his investment in the independent film industry. In April 2017, Dr. Tehrany’s second movie, “Thirst Street”, had its world premiere at the Tribeca Film Festival. It will compete in the upcoming Venice International Film Festival as well. Dr. Tehrany again served as an executive producer. His debut was in 2016 when he was one of the executive producers of Nate Parker’s slave docudrama, “The Birth of the Nation”. This unexpected combination of orthopedic surgery practice and the movie business sparked the interest of Carol Ann Benanti, an esteemed editor at the only daily newspaper published in the borough of Staten Island, Staten Island Advance. 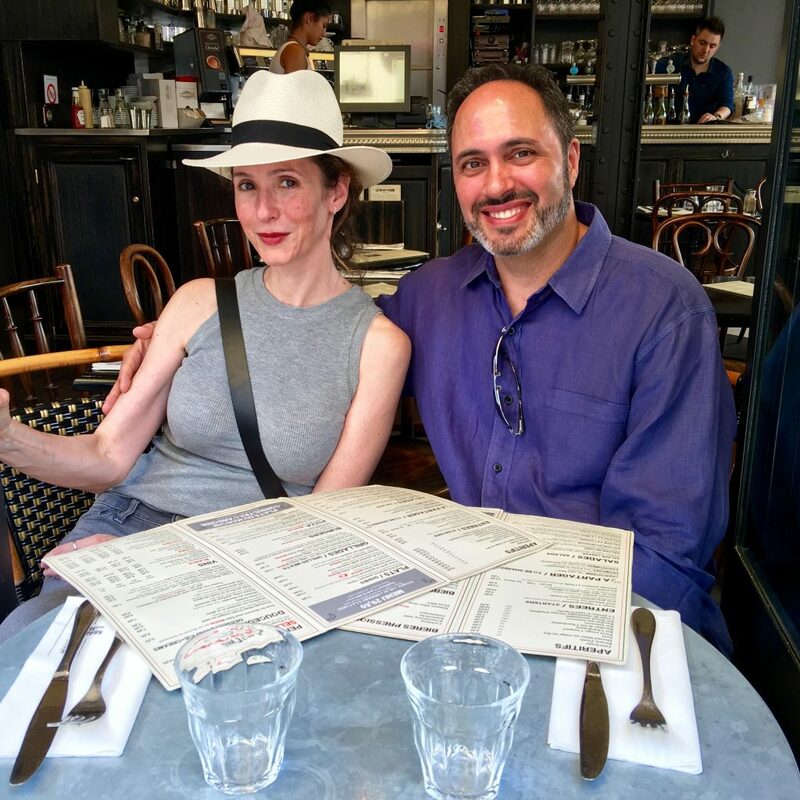 Carol was inspired by Dr. Tehrany’s ability to successfully balance the rigors of his main profession with his avocation of the film, so she reached out to him for an exclusive interview. As a Todt Hill native turned Manhattanite, Dr. Tehrany cordially accepted the invitation to share what motivated him to join the film industry. The profile piece focuses on both Dr. Tehrany’s work as an orthopedic doctor and his work in the movie industry as an executive producer, however, it highlights that being a dedicated orthopedic doctor and surgeon always comes first. In the interview, Dr. Tehrany stated that his father, a highly-esteemed urologist on Staten Island, introduced him to the world of medicine at a very young age, and his dream to become an orthopedic surgeon led him through life ever since. But, according to Dr. Tehrany, the short theater experience at the University of London captivated his mind, and the idea of joining the world of the arts has never left his mind. “As time went by and my practice matured, I began to think about my dream of becoming involved in the arts – primarily in the film industry,” he adds. “I began reading scripts and networking in the industry and the opportunity came through my door. I began to get more involved through family members. And you could say it became a side passion of mine,” he continues. Further, in the interview, Dr. Tehrany described his major introduction to the movie industry. One of his family members, Zak Tanjeloff, was already involved in significant movie projects when he and Dr. Tehrany shared ideas during a family event. On the question about his role as an executive producer, Dr. Tehrany noted that he entered the world of film because of his affection for meaningful movies that change the world. As a person devoted to bringing a positive change in society in a manner that is close to his beliefs, Dr. Tehrany proudly accepted to be part of ‘The Birth of A Nation’. “Some six months later, Zak asked if I would like to go to an opening of his production company involved with ‘The Birth of a Nation,’ and I invested with them. The movie won the Grand Jury Prize at the Sundance Film Festival. Fortunately, my first film did well,” concludes Dr. Tehrany. Impressed by Dr. Tehrany’s ability to fulfill his passion for the film while effortlessly running a successful orthopedic practice, Carol wrapped up the piece with Dr. Tehrany’s educational background and the experience he gained through his work in New York’s top hospitals and surgical centers. The article was published in the printed edition of the Staten Island Advance and was also featured on SILive.com, their online source for breaking news, local information and community engagement.